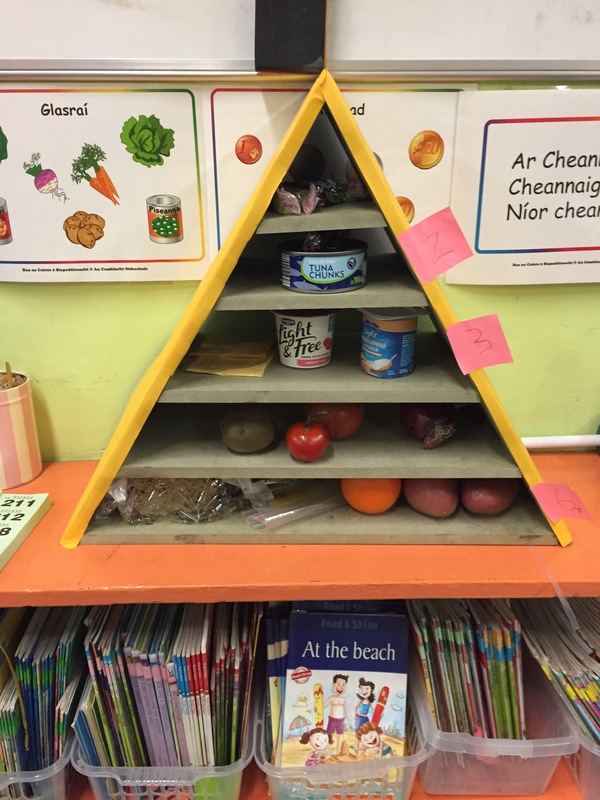 The children in First, Second and Third Classes are learning about the food pyramid with Ms Ansell. They had to think about where a food should be on the pyramid and the reasons why before putting them on. They really enjoyed their interactive lesson and learned a lot about their food.